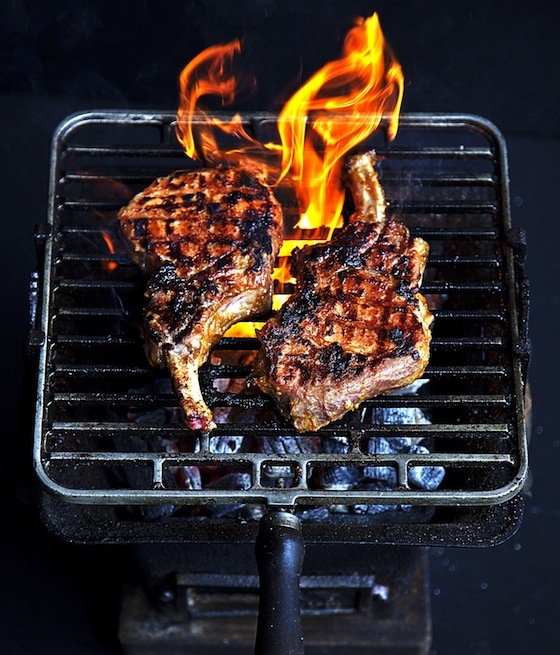 With the long 4th of July weekend upon us, people will be firing up their grills. Instead of putting the usual barbecue sauce on your steaks, Matsuri chef Tadashi Ono and food writer/Japanese food expert Harris Salat suggest you add the flavors of Japan for a delectable change of pace. 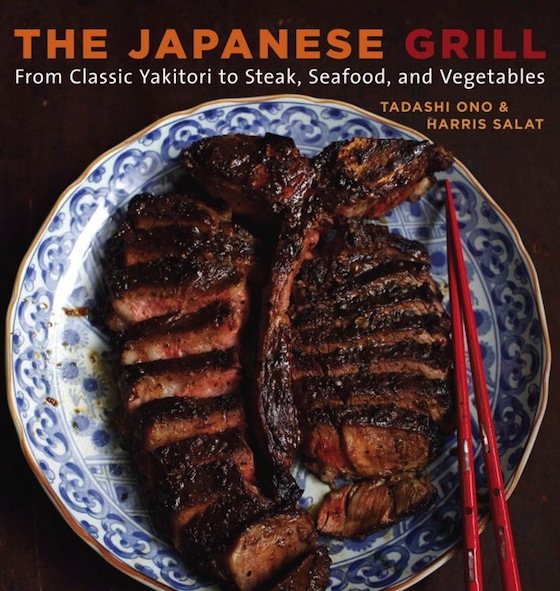 The duo’s new book, The Japanese Grill: From Classic Yakitori to Steak, Seafood, and Vegetables, offers simple yet savory ways to kickstart your summer BBQ with recipes based on Japanese-style sauces. 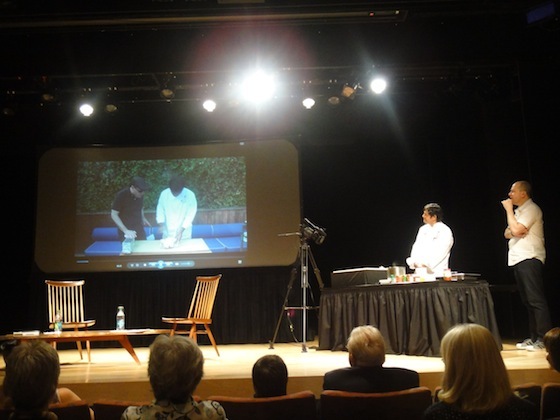 While introducing cooks to the principles of grilling as it pertains to Japanese food culture, Ono and Salat also want to teach grilling enthusiasts how to blend Japanese ingredients with the traditional American concept of grilling. 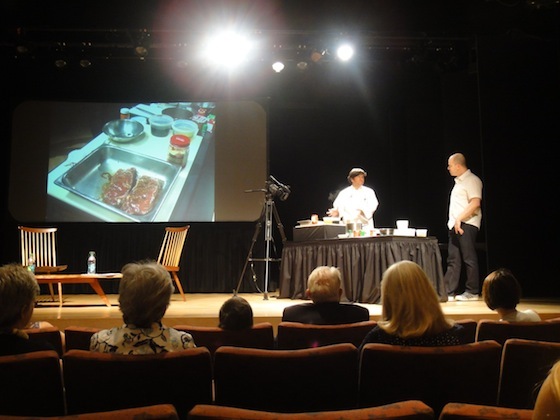 “It’s really accessible cooking,” says Salat, starting with sauces. The Japanese use fermented Japanese ingredients to add great flavor to fish, meat, and vegetables. Ono’s first recipe was for yakitori tare, the aromatic, savory/sweet glaze that bathes the familiar skewers of chicken meat. Ono added soy sauce, sake, water, brown sugar, and mirin (a condiment made of glutinous rice that deepens the flavor of Japanese cooking) to the roasted carcass of a chicken boiling in water. While Ono describes the measurements of his ingredients with “some” of this and “a little of” that, those who need more specific instructions will be happy to know that Ono and Salat do indeed have proportions in their book. After breaking down the chicken, you’re ready to make yakitori, one of Japan’s most popular comfort foods. In another video, Ono shows how to grill yakitori on a Weber with a few bricks. 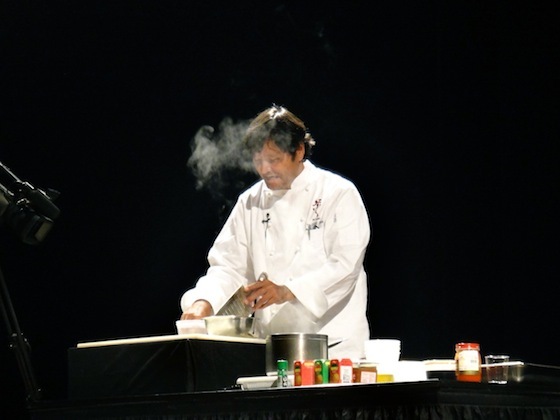 Ono also prepared a garlic soy marinade and a miso marinade, which add a robust burst of umami (the property of food that enhances the experience of eating). If you don’t eat meat, you can still use the sauces and marinades found in The Japanese Grill on vegetables. 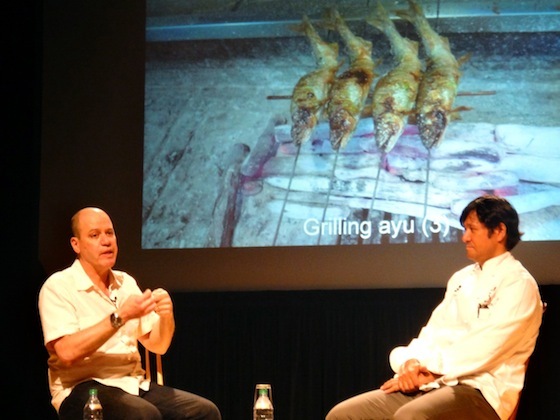 And those of us in the city with no outdoor space and Weber grills can benefit from the recipes by using an electric fish roaster or a stovetop grill; however, Ono admits that we won’t achieve exactly the same taste since there is neither charcoal nor smoke to create more flavor. Grab a copy of The Japanese Grill: From Classic Yakitori to Steak, Seafood, and Vegetables and pick up a few ingredients at one of several Asian grocery stores in the city. You’ll be on your way to creating umami in no time.